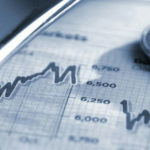 In the recent past, the life sciences industry has been flooded with data generated by the massive expansion of personal medical devices, social media, and electronic medical records. Big Data has the potential to transform the industry but only if companies can translate that data into actionable business intelligence. That massive amount of newfound data made available by modern technologies and generated directly by consumers can give life sciences organizations valuable insight into how patients are using their products. This information can help life sciences companies give payers the evidence they demand to prove the value of new drugs and devices as well as enable better compliance with the complex regulatory environment they find themselves in. The challenge for these organizations lies not in collecting this data, but in harnessing, parsing, and analyzing it to create competitive advantage. Insights and intelligence derived from fast-moving data sets can help inform strategy decisions, spur innovation, inspire new products, enhance customer relationships, and bolster operations. Analytical testing and treatment – including identifying key weaknesses and vulnerabilities. 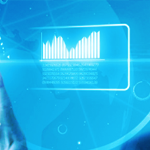 However, to take advantage of these benefits of Big Data companies must invest in the right capabilities. While almost all life sciences organizations understand that Big Data can provide a competitive advantage, many are unclear on how to convert it into the best strategic actions and what tools that are best utilized to accomplish their top line goals. Life Science organizations need to partner with others and develop a proper set of capabilities in order to put big data into a strategic business context. Only then will they be able to focus on the right opportunities and get the maximum value from their investments. 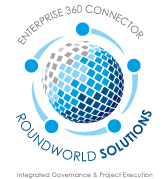 RoundWorld Solutions 360 degree view of Big Data in manufacturing can help life sciences organizations toget the right information, delivered by the right tool, to the right resource at the right time. 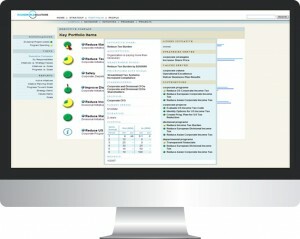 Our unique 3 layer Big Data tool set – a flat file format based data collector and validator, executive templates, and our top layer visualization tool allows manufacturers to consolidate and access their data to truly unlock the power of Big Data and capitalize on the vast knowledge they have acquired and collected in their siloed applications.